Amit joined YMT late last year and has been working hard since then. He’s off to a great start for 2018, training very consistently and always putting in extra time with a bag or a friend to improve. 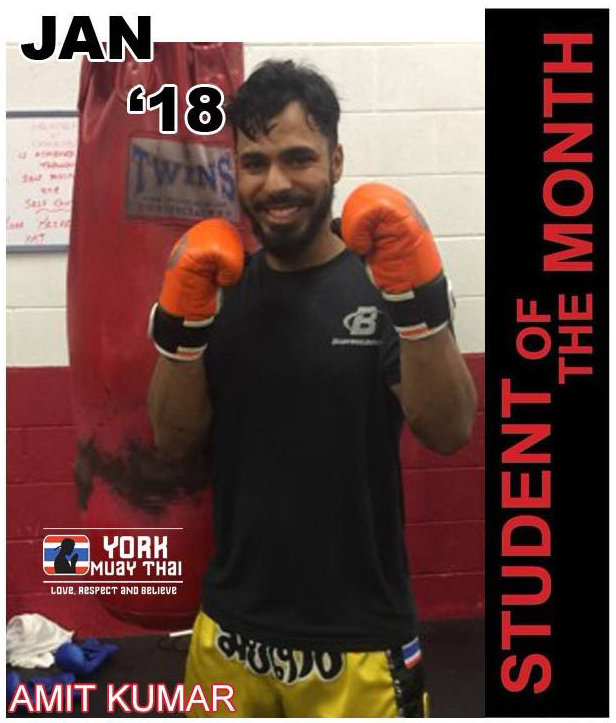 Most recently he started to learn clinching, to develop his Muay Thai further. Keep up the great work, Amit, and this will your year!